A Multi-Pattern Large Diaphragm Condenser At a Modest Price! Samson knows that capacitor-based elements are warmer, brighter and bigger sounding than electret-based elements, which is why they are able to faithfully reproduce a variety of sound sources with amazing clarity and detail. That’s why they produced the CL8 Multi-Pattern Studio Condenser Microphone. A true capacitor mic for almost any application! The CL8 has a true capacitor condenser mic element design with dual 1.1-inch, ultra thin gold spluttered diaphragm capsules. The capacitor design gives this mic a brighter, “big” sound that compliments virtually any input sound. And the dual diaphragms give the CL8 the ability of multi pattern operation. Choose from switchable Super Cardioid, Omni and Figure-8 pickup patterns to record solo vocals or instruments, background vocals, or overhead choir or drum signals. You don’t need to worry about rumble or overload with the CL8. A switchable highpass filter rolls off 12dB per octave at 100Hz, eliminating room noise, AC hum and air conditioning “whoosh.” And a 10dB pad handles signals with high SPLs, so you can use the CL8 on guitar, bass and keyboard amps – and even tubas! You’ll appreciate the real versatility of the CL8. A little secret about many low-cost mixing consoles is the instability of their phantom power outputs. The CL8 takes that in stride! With 36-52 Volt phantom power operation, it will perform on just about any board or preamp you connect to it. The CL8’s internal shock mount protects the electronics from rough handling, and its solid die cast housing construction makes it a solid performer. 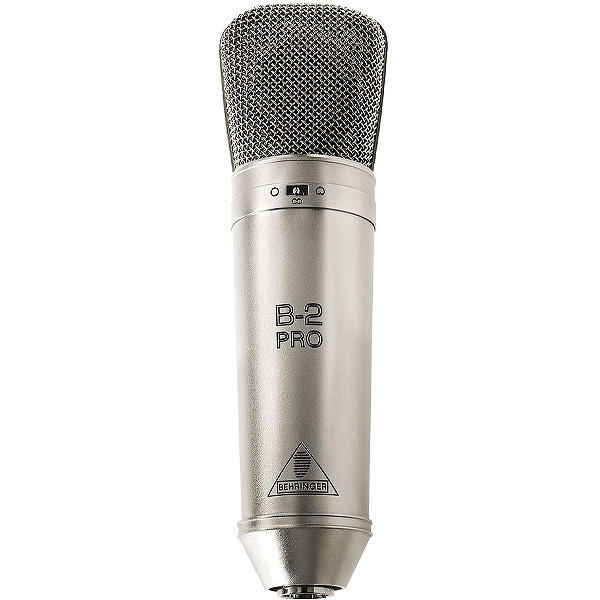 Use it in the studio or take it on the road – the CL8 will hold up! 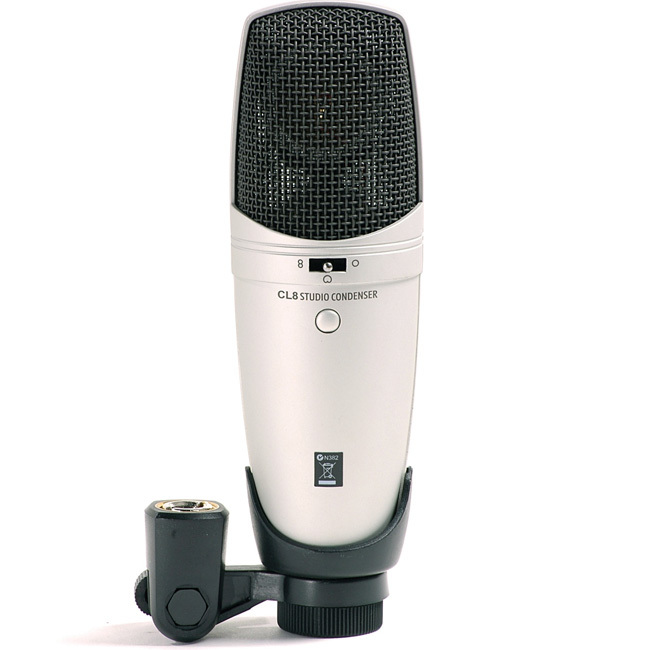 Plus, with its included swivel stand mount and carry case, the CL8 offers a complete mic package. The SP01 spider shock mount is also available to give the CL8 added isolation. Because of its custom compact design, the Go Mic can clip right onto your laptop or sit unobtrusively on your desk. Plug and play operation also means it's completely compatible with a Mac or PC, with no drivers required. At this price, it's easy to finally get crystal clear sound for your studio. Order today. 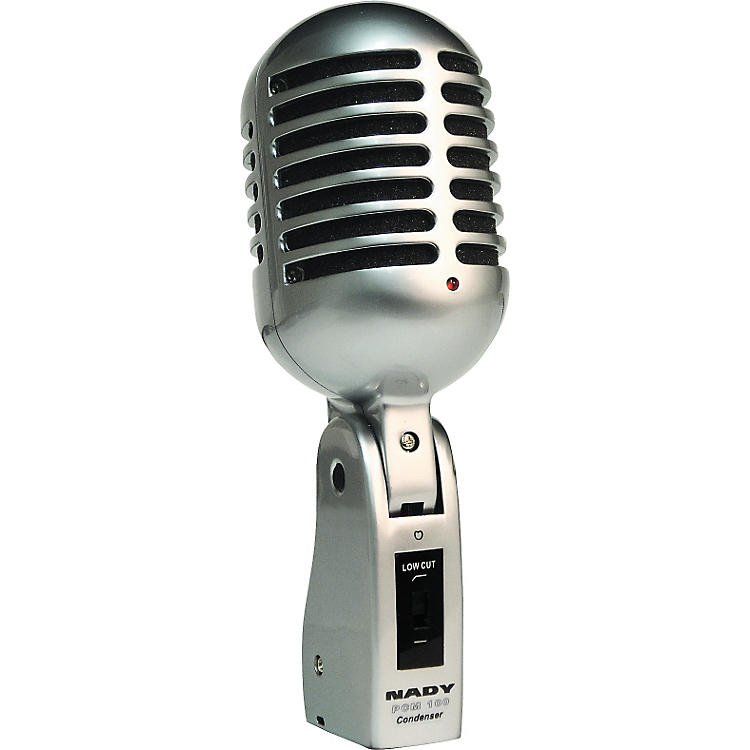 A cool microphone at a righteous price. Order today. 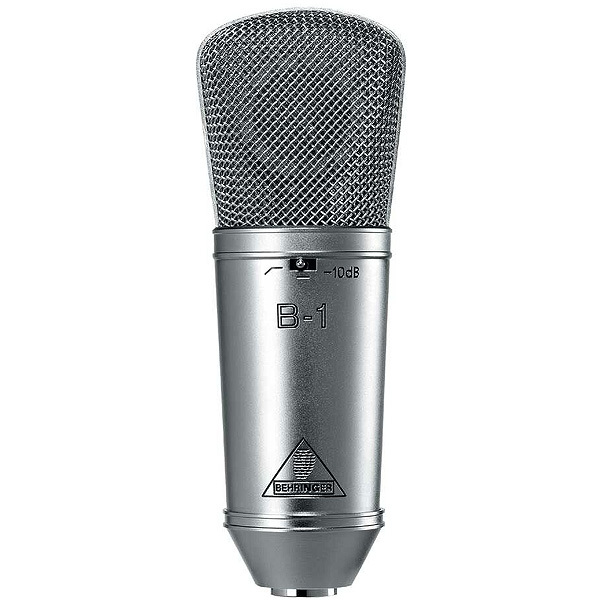 The Behringer B-1 condenser mic is an all-around studio mic.